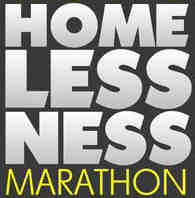 For those of you who didn't know this, I've been in Mississippi this last week to begin preparing for the Homelessness Marathon, a 14-hour live radio broadcast devoted to issues of poverty and homelessness. The program is in its 12th year, and the director, Jeremy Alderson, asked me to come on as producer, which I couldn't pass up! We will air from Waveland, Mississippi on February 23 (6 p.m.-8 a.m., Central Time), so this initial trip was to meet people in the area and find out who's interested in working with us. It's been really intense so far -- lots of meetings with people who work with homelessness issues from all sides, from the county board of supervisors to housing organizations to service providers, all who have different and conflicting information...eek! But we have a plethora of information and contacts now, so I have plenty to do before the broadcast in February. We have found so many stories that have *never* made it into the national story about the Gulf Coast. I don't know about you all, but I haven't even heard that much about Mississippi's Gulf Coast in all the coverage about Katrina. Well, it turns out that the Gulf Coast was devastated by the storm in far worse ways than anything that hit New Orleans. In many of the counties, 85% of housing was wiped out, with some worse than that. In Pearlington, MS, three out of 500 houses were left after the storm! Waveland, where we are originating the broadcast, has actually been termed the "Ground Zero" of Hurricane Katrina, mainly because the area is so flat that it was most affected by the storm, with no points of refuge for residents. What we have heard unanimously is that is it wasn't for volunteer work, this area would not be recovered as much as it is, which is not a lot. You could liken the area in many ways to East St. Louis, where open space seems natural, until you find out that there were houses there at one time. One person, a local reporter, even estimated a figure of 90% volunteer help and 10% government help in the wake of the storm. And this perspective is widely held among the residents. Many people who self-identified themselves as "Conservative Republicans" spoke in ways that sounded hard-core liberal, if not outright socialist... It's amazing what a moment of clarity came from this disaster and the subsequent inadequate response by the government. military 30 years before. Keith attributed this poor response to a general trend in the government to privatize its services rather than use its own personnel (out of the mouth of a "conservative" no less ;). Currently, Hancock County, where Waveland is located, is estimated to still have 3000 households (a conservative estimate) who are either in FEMA trailers, MEMA cottages (Mississippi branch of FEMA), are doubled up with family, or are on the street. To make matters worse, FEMA and MEMA are withdrawing the trailers and cottages in two waves, one in January, and the rest on March 1. At that point, we have estimated that 300 apartment units will be built to house households, with 200 more households who will be able to purchase their MEMA cottages as permanent residences, leaving a shortfall of 2500 families without housing. Meanwhile, the county board of supervisors refuses to acknowledge that there is any problem, publicly stating that there is "plenty" of affordable housing, while also saying that they don't want to become a dumping ground for low-income people (!!). Needless to say, there are assumptions of deserving/undeserving poor at work here. and these folks deserve a chance to speak about what they went through. So that's where we are; check out the website (www.homelessnessmarathon.org), and if you're so inclined, spread the word about the area and the broadcast--take care!